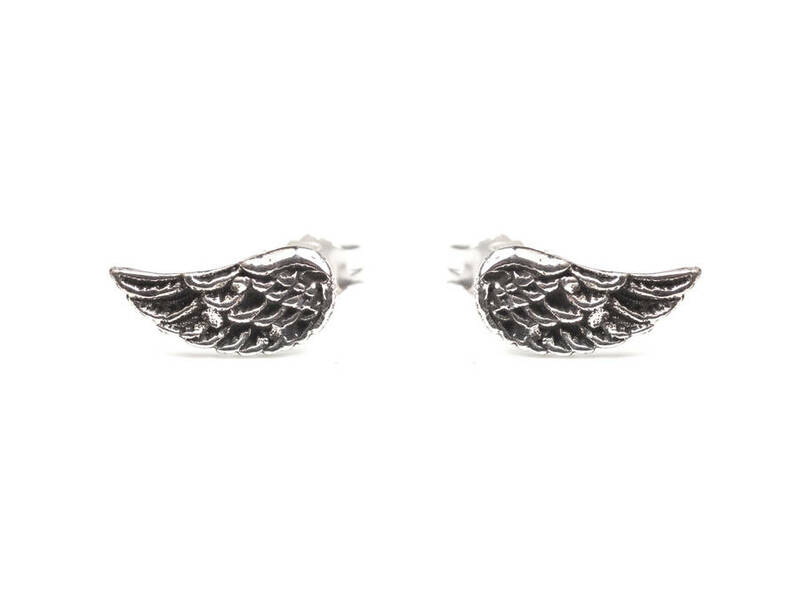 These little earrings are your perfect every day stud. They are even discreet enough to be allowed at school! Ideal for teenagers or a little treat for yourself. 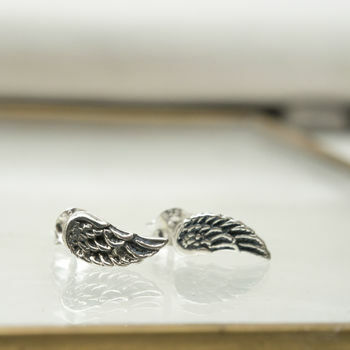 The actual wing and the post are both sterling silver so there should be no problem with sensitive ears, or even newly pierced ears. 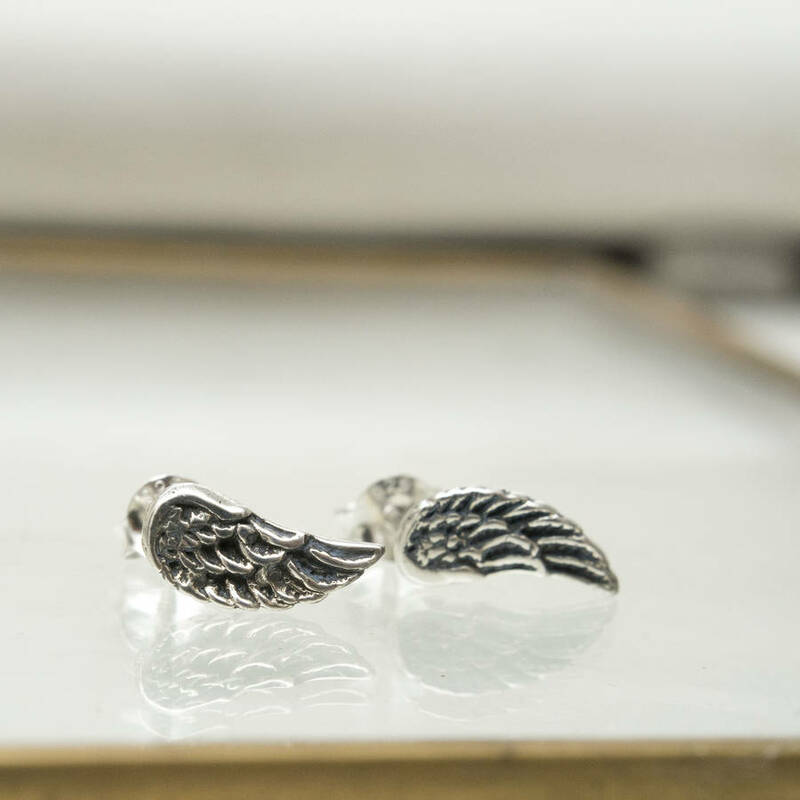 The sterling silver wings have been oxidised to give it the slightly blackened effect. This gives a slight rock n roll feel to the earrings. the post and the butterfly are both polished sterling silver. Each wing measures 1cm in lenght and 0.5cm in width.